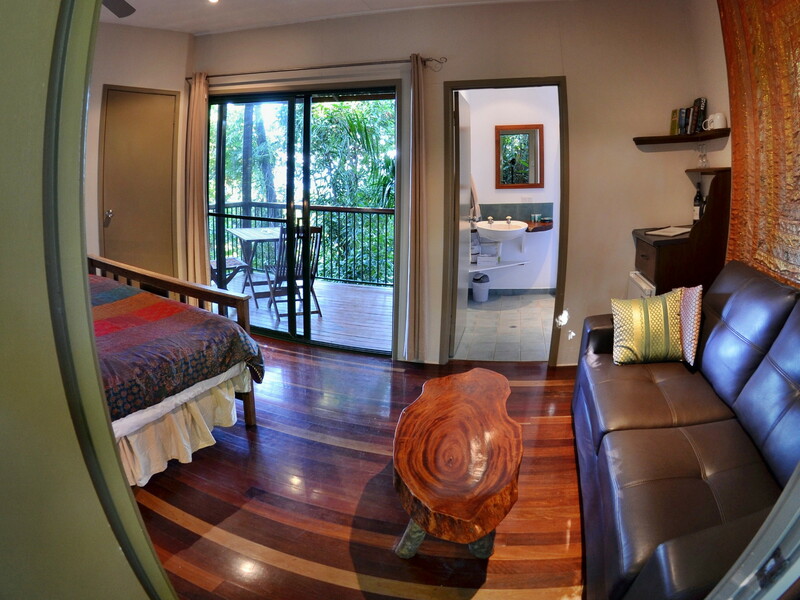 Designed to minimally impact on the surrounding rainforest, Sanctuary Retreat provides a haven for the traveller as well as the native wildlife. 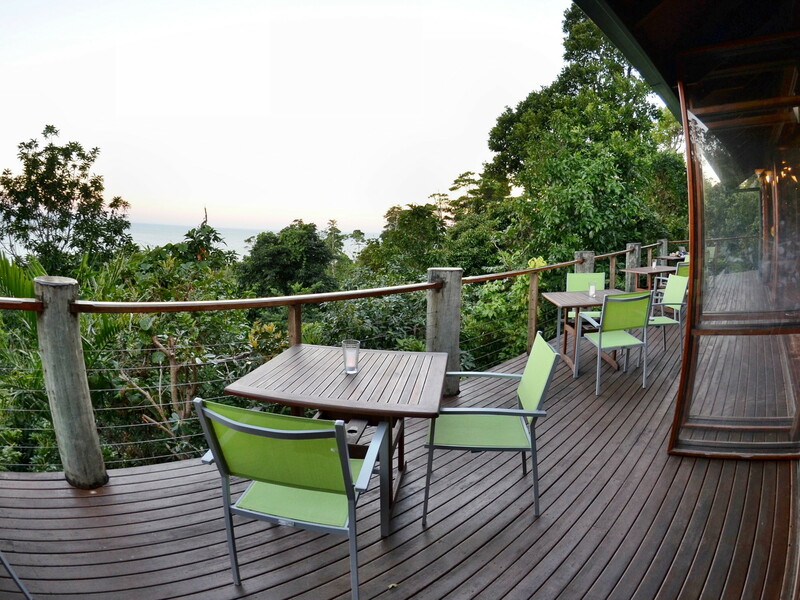 Sanctuary, as an eco-lodge, achieves both of its aims; to share the rainforest with visitors to the area and to protect an endangered habitat and its dwellers. 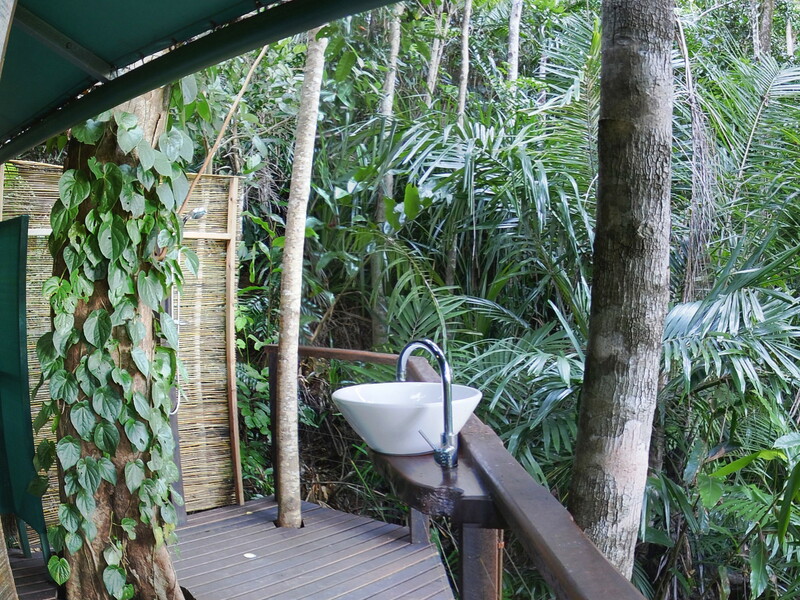 As a registered Nature Refuge, you can be confident that by visiting Sanctuary, you are not only experiencing a rare insight into the ecology of tropical rainforests, but also making an active contribution to nature conservation. Sanctuary is one of those special places in the world where you realise you are in for a unique experience from the moment you arrive. The original vision for Sanctuary was conceived in 1995. After a long search for a suitable location, the natural beauty of this parcel of land inspired the concept to become reality. 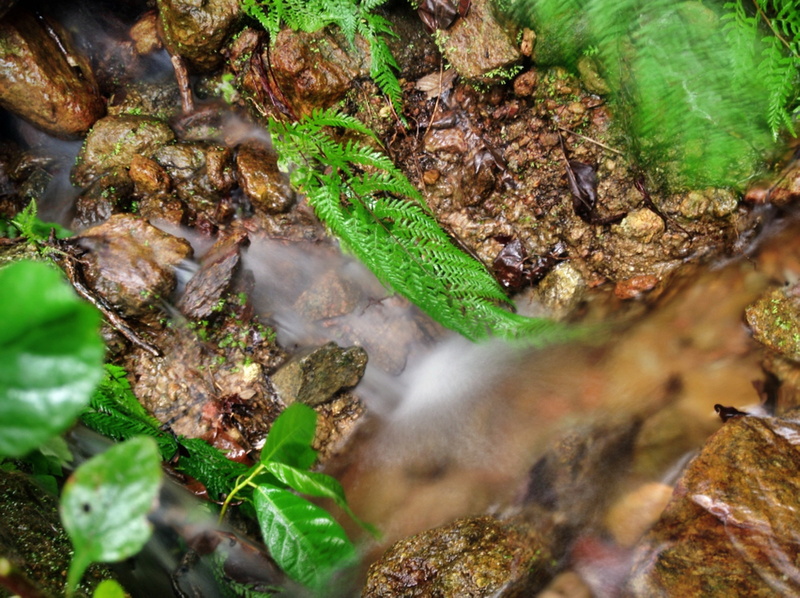 The wish to preserve and share an endangered natural habitat seems intrinsically linked to this tropical rainforest. It is hoped that visitors to the region will enjoy this North Queensland jungle and leave with a greater understanding of this eco-system and the importance of its protection. Through the unique use of a Conservation Agreement over 95% of the land area, Sanctuary ensures the long-term preservation of a natural resource that would otherwise have been lost to more conventional land uses. 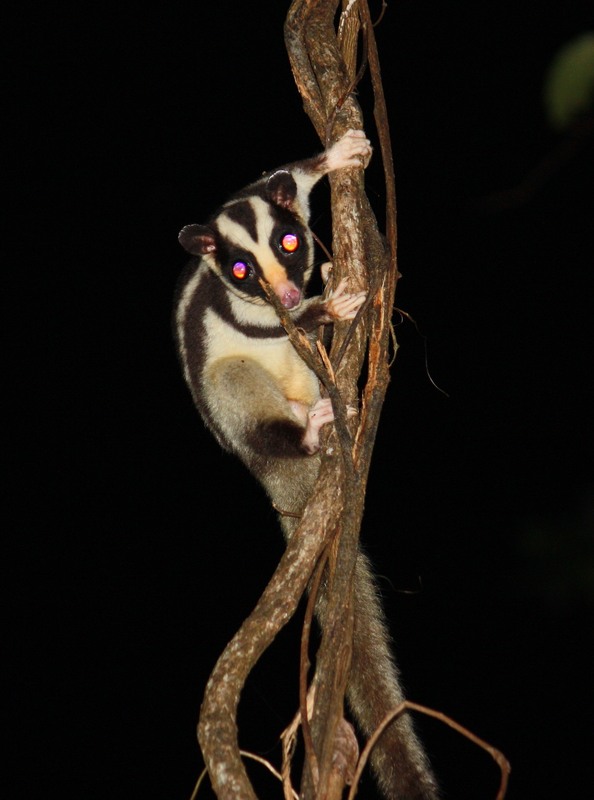 Tropical rainforest covers less than 0.1% of the Australian land mass and, though protected in National Parks, still continues to be cleared on private lands. 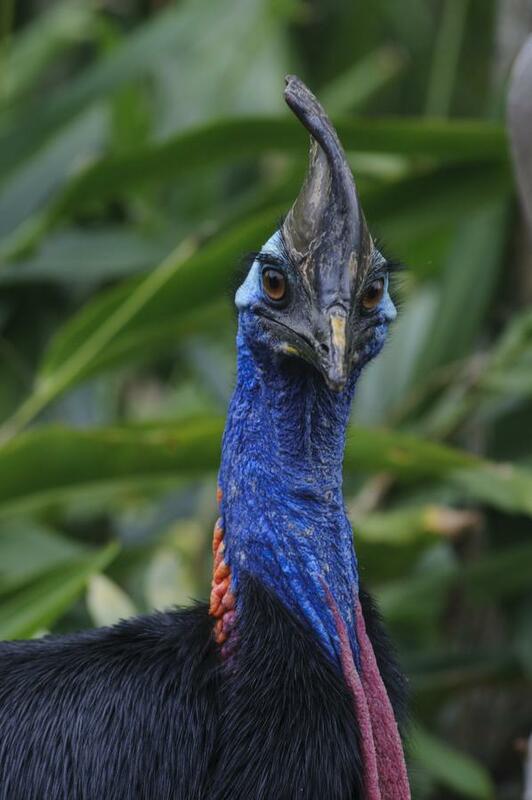 The cassowary, whose numbers have fallen to between 50 and 60 in the Mission Beach area, depend on the preservation of large tracts of rainforest in both public and private ownership. The presence of nature refuges on private land, such as at Sanctuary, are critical to the survival of the cassowary and maintaining the bio-diversity of tropical rainforests. The survival of the cassowary and rainforest bio-diversity is interdependent as the cassowary performs a unique role as a dispersion agent for many large fruited rainforest trees. Sanctuary was designed not only to preserve the natural values of the local environment but also to minimize ongoing operational impacts in terms of natural resource consumption. 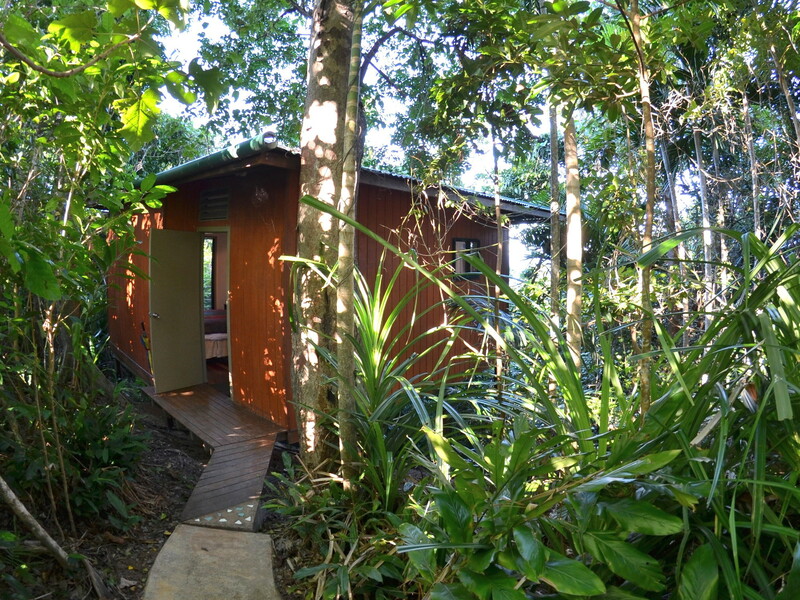 The location of the main buildings and swimming pool were chosen to use existing clearings, while in and around the forest, the accommodation was built on stilts to have minimal impact on the forest below. 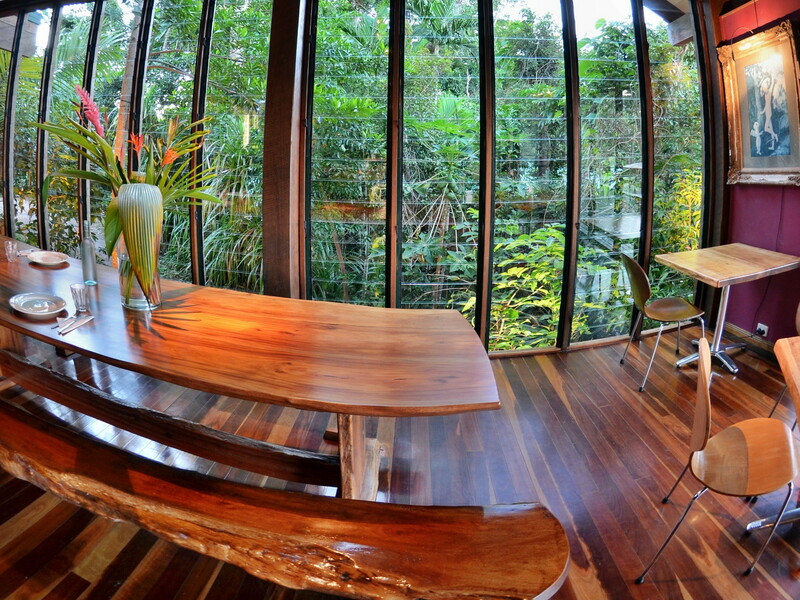 To minimize ongoing greenhouse gas emissions, the natural cooling effect of the rainforest was incorporated into the designs of the buildings so that air-conditioning is not required, with more than adequate cooling is produced from cross-ventilation and ceiling fans. Although Sanctuary is located in an area of abundant rainfall, most of this precipitation occurs in just a few months of the year. Whilst Sanctuary harvests and stores this for drinking water, Sanctuary also recycles waste water for use. The treated wastewater is irrigated over 10 acres of land and is also used to flush the toilets. The latest LED lighting technology and many other energy saving devices allow Sanctuary to minimize its power use. 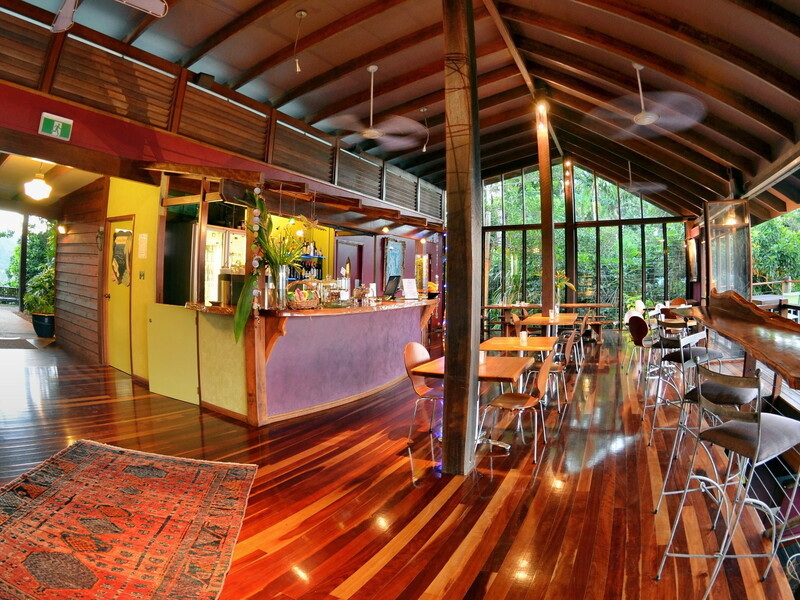 Guests are encouraged, and staff are trained, to conserve energy, use environmentally friendly products and to recycle waste via literature, information and resources provided around Sanctuary.